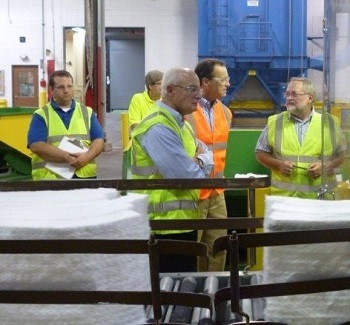 Tom Galassi, director of OSHA’s enforcement programs (in orange vest), talks to an employee at a module assembly line at the New Carlisle, Pa., fiber manufacturing plant of HTIW Coalition member and PSP participant Unifrax I LLC. OSHA recently renewed its agreement with the High Temperature Insulating Wool (HTIW) Coalition to protect worker safety and health. The coalition represents manufacturers of a broad range of HTIW products that are essential in industrial applications, such as thermal insulation of furnaces and fire protection and prevention purposes. The coalition established its Product Stewardship Program (PSP) 15 years ago to reduce workplace exposures to refractory ceramic fiber (RCF). The coalition, its member companies, and their customers, strongly emphasize the use of engineering controls and work practices as the primary measures for protecting workers from RCF exposure. Furthermore, the coalition has adopted an RCF exposure limit lower than that required by OSHA. Through its PSP program, the coalition is establishing exposure and medical monitoring, and developing improved workplace controls and practices, and respiratory protection program and training. OSHA has reached agreements with three companies to correct workplace hazards and enhance safety following a May 2016 incident in which a worker was injected with a flammable propellant gas. Shield Packaging Co. Inc., of Dudley, Mass., which packages aerosol containers, failed to lock out the machine's power sources or train the worker on avoiding the hazard. The company agreed to pay $150,000 in penalties; provide proof that all hazards are corrected; retain an engineer to approve the design and installation of a safety mechanism on the machine that injured the worker; retain a qualified safety consultant to comprehensively inspect the plant; and develop a workplace safety and health program. OSHA also cited the two temporary staffing agencies that supplied more than half the workers at Shield Packaging. Each company agreed to pay more than $12,000 in penalties and implement several safety and health measures. For details, see the news release. WBI Energy Transmission Inc., provides gas transportation, storage, and gathering services in Montana, North Dakota, South Dakota, and Wyoming. The company’s plant in Worland, Wyo., is working with Wyoming OSHA’s On-Site Consultation Program to identify and implement best practices to protect workers. Since the plant joined OSHA’s Safety and Health Achievement Recognition Program in 2013, they have reduced injury and illness rates—with no OSHA recordable incidents from 2015 through 2016—and lowered insurance costs. For more information, see the company’s success story. OSHA Regional Administrator Richard Mendelson presents Lt. 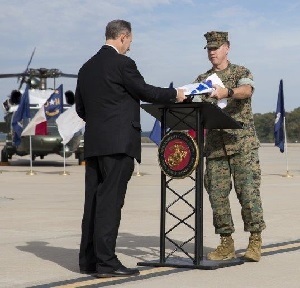 Colonel Daniel Murphy with a VPP flag and plaque indicating MCAF’s status as a Star worksite. OSHA recognized Marine Corps Air Facility (MCAF) in Quantico, Va., for its achievements in workplace safety and health. OSHA Regional Director Richard Mendelson presented MCAF Commanding Officer Lt. Colonel Daniel Murphy with a plaque and flag signifying the facility’s Star Status in OSHA’s Voluntary Protection Programs. VPP recognizes employers and workers in the private sector and federal agencies who have implemented effective safety and health programs, and maintain injury and illness rates below national Bureau of Labor Statistics averages for their respective industries. Some of the innovations implemented by MCAF installation safety manager and VPP site coordinator Michael Hancock include a Command Safety Awards Program, Annual Risk Mitigation Plan, and a smartphone app that allows users to conduct self-inspections and report hazards. The MonDaks Safety Network renewed a five-year agreement with OSHA’s Billings, Mont., office to reduce worker exposures to hazards in the upstream oil and gas industry. The American Mushroom Institute renewed a five-year agreement with OSHA’s Philadelphia office to address hazards including amputations, chemicals, electrical shocks, and falls. The Alliance developed a training app to educate and train mushroom farm and packinghouse employees on safety best practices. The Upper Bucks County Technical School renewed a three-year agreement with OSHA’s Allentown, Pa., office to increase awareness about workplace hazards and the use of the hierarchy of controls as a means to prevent them. The Alliance delivers safety and health training on hazards including falls, struck-by, caught-between, electrical, material handling, and chemicals. The Northeast Florida Safety Council renewed a five-year agreement with OSHA’s Jacksonville office to develop effective safety and health tools, such as a fall protection program focused on residential construction. The OSHA Training Institute Education Centers of Region IV renewed a five-year agreement with OSHA’s Atlanta office to provide guidance and access to training resources that will help protect the health and safety of workers. The Consulate General of Mexico in El Paso signed a two-year agreement with OSHA’s El Paso, Texas, office to provide workers with guidance and access to training resources related to the prevention of falls in construction, as well as other occupational safety and health hazards. The Safety Peer Group Network signed a two-year agreement with OSHA’s Allentown office to prevent exposure to hazards related to ergonomics, healthcare environmental conditions, and chemicals, and to promote workplace safety and health programs. OSHA conducted an inspection of Mane Concept Inc., after receiving a complaint of imminent safety hazards. Inspectors found that the Moonachie, N.J., hair distribution company failed to keep exit routes unobstructed, improperly used work space around an electrical box for storage, and did not properly store materials to prevent struck-by hazards. OSHA issued one repeat, one serious, and two willful violations, and proposed penalties totaling $181,280. The company was cited in February for similar violations. Read the news release for more information. A Pittsburgh masonry contractor has been cited for exposing workers to serious dangers after a laborer was electrocuted while doing residential restoration work. Following an investigation of the incident, OSHA issued citations to Ski Masonry LLC for allowing employees to work within 10 feet of overhead, energized, and uninsulated electrical lines; failing to provide fall protection; and using scaffolding without a secure base plate. Proposed penalties are $201,354. See the new release for more information. OSHA has reached a settlement agreement with Acme Parts Inc. to improve workplace safety and health at the company’s facility in Brooklyn. OSHA found high levels of lead throughout the facility presenting serious hazards to employees. Under the terms of the agreement, Acme Parts will pay $40,000 in penalties. Additionally, the company will hire a qualified lead hazards and abatement consultant to evaluate the facility and to recommend improved practices. For more information, see the news release. The Virginia Occupational Safety and Health Program issued six citations and $100,270 in penalties to Lucas Tree Experts in Chesapeake for safety violations after a worker was electrocuted while trimming a tree near powerlines. 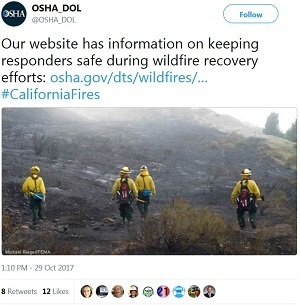 Inspectors determined that the company failed to: provide personal protective equipment; follow requirements on line clearance and proximity to energized lines; and ensure workers were properly secured to trees with climbing and position ropes. The Hawaii Occupational Safety and Health Division issued 14 citations and $107,800 in penalties to Hawaiian Ice Company in Honolulu for exposing workers to inhalation hazards resulting from an uncontrolled release of anhydrous ammonia. Inspectors concluded that the company lacked procedures to isolate the chemical while workers were servicing refrigeration equipment. The company also failed to conduct in-house inspections, provide portable monitoring devices to detect leaks, and train workers. OSHA's Seasonal Flu webpage offers information about how to reduce the spread of the flu in workplaces. 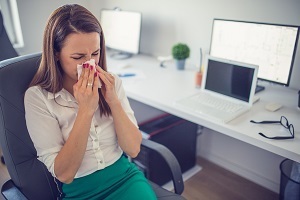 It provides information on basic precautions that should be used by employers and workers in all workplaces, such as frequent hand washing and covering coughs and sneezes with a tissue. 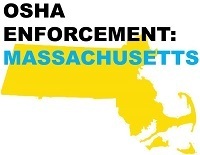 OSHA provides additional precautions that should be used in healthcare settings, such as strictly following infection control practices; using gloves, gowns, and other protective equipment to reduce exposures; and encouraging sick workers to stay home. 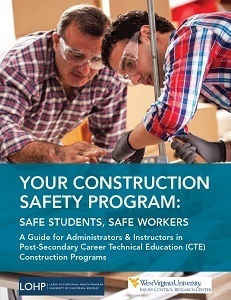 A new guide is available to help administrators, instructors, and others involved in Career and Technical Education (CTE) incorporate safety and health into construction training programs. Each year, more than 75,000 students enter two-year post-secondary CTE programs that prepare new and young workers to enter careers in various fields. Researchers from U.C. Berkeley and West Virginia University conducted surveys and site visits to understand how construction-focused CTE programs prepare students in the areas of safety and health. For more information, see Your Construction Safety Program: Safe Students, Safe Workers.